But the simplicity ends there. All dry vegetable dishes are NOT Ghonto, ghonto is a mere subset of all possible dry vegetable dishes in the Bengali Kitchen. Incidentally there is also an area of intersection with dry non-veg dishes. What is the unique feature which binds all ghonto ? No clue, except for use of some common spices. For some strange reason unknown to me, there is BandhaKopi'r Ghonto (a dry Cabbage dish), Lau Ghonto( a dry Bottle Gourd dish), Mulo Ghonto(with radish) but there never is a Dharosh(Okra) Ghonto. After much brainstorming(yeah I need to storm my brain on such complex matters), it dawned on me that "Ghonto" is derived from the word "Gha(n)ta" in Bengali, which means to mix.While Charchari derived its name from the method of cooking which lets the veggies char a little, I guess Ghonto too derived its name from a cooking method where you basically, mix/stir and cook. So while you wouldn't stir a Charchari much in a Ghonto you would. Following that logic, you would need veggies that can retain their shape even on mixing and so you choose veggies like Cabbage, Bottle Gourd, Radish etc. for your ghonto and not softer ones like Okra. This is just my theory, if you have any idea on the nomenclature, please do share. For carnivorous bongs, every veggie dish has a non-veg equivalent so though Ghonto is largely a vegetarian dish you also have Muri Ghonto with Fish head and you can add fish head or shrimp even to a BandhaKopi'r Ghonto or a Lau Ghonto. The recipe I have here is a niramish(veg) BandhaKopi'r Ghonto that my Ma makes. To make it amish(non-veg) she will just add fried shrimp to it or fried pieces of fish head. This is usually served with Rice and Dal for everyday Lunch, with Rotis for Dinner and sometimes with Khichuri in a comunity feast like Picnic etc. You can squirt a little lime juice and have a bowl of it, just by it self too, I like it that way. I usually don't cook my cabbage to death, I like it crunchy but usually in this dish it is cooked till the cabbage loses all its crunchiness. The hubby says my Cabbage dish reminds him of the cabbage cooked during the neighborhood picnics that he went to as a kid. That doesn't sound like a compliment, I am guessing he says that because my cabbage has a crunch and not because he has bad cabbage memories from the picnics. Fry 1 cup of peeled & cubed potatoes with a pinch of turmeric. When they are a light gold in color remove and keep aside. They will not be cooked fully at this point. Add 1 tsp of Cumin Powder/Jeera Powder, 1 tsp of Corriander Powder/Dhania Powder, 1/4 tsp of Red Chilli Powder and 1-2 tsp of freshly grated Ginger. I usually mix all the above masala in little water to make a thick paste and add it. Add about 6-8 cups of finely chopped cabbage. Add the cabbage gradually and mix well with the masala. Add a little turmeric powder for color. Fry the cabbage with the masala for couple of minutes. The shredded cabbage should be nicely coated with the spices. Add about 1/4 tsp of Kitchen King masala or any other such masala and salt. The Kitchen King is optional and you can skip it. Normally you wouldn't need to add water but check intermittently and give a good stir in between. Add little water if needed for the veggies to cook. Edited on 12/14/2010: When veggies are almost done, add 1/4-1/2 tsp of sugar. Bengali Bandhakopi is usually on the sweet side and the sugar lends a nice dimension to the dish. Skip if you don't like sweet. Trivia:Egyptian pharaohs would eat large quantities of cabbage before a night of drinking as they believed that cabbage consumption would allow them to drink more alcoholic beverages and not feel the effects. This is perhaps why many still consider cabbage with vinegar as a good hangover remedy. I actually like the sound of this cabbage dish. I tolerate cabbage but it seems to appear in my kitchen with regularity. With potaotes and peas it can't really go wrong. Though I dont like cabbage much but Hubby likes it with Macher matha. even made it just now for dinner. Great post Sandeepa. I love to learn all the Bengali words, although I might never a sentence. I like Amish and Niramish. We call Ghonto as Palya with stir fried veg, and with little gravy, it will be Gojju. 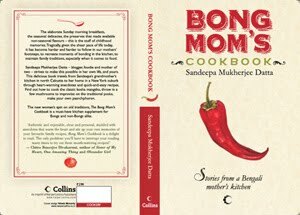 One reason I love you is because your Bengali recipes remind me of my Ma . This is such a staple all winter . I would definetly love Amish style, pretty much my mom added shrimp in all her veggies to make us eat, reminds her curry :) We never gave her trouble and started loving vegetables for the flavor of shrimp! Ghanta theke Ghonto? ! eta kono din bhabhi ni:-) Ki shundor thala shajiyecho! bnadha kopi ektu knacha bhalo laage.. & I had mentioned that before in my blog..in bengal a lot of dishes are without garlic & onion, which makes it really uncomplicated i think. Sandeepa I think what your husband said is a compliment.. those tastes are authentic! i'm relatively new to the joys of cabbage, but would give this a go. ta! the meal thali looks gorgeous!! lovely dish as well the post,normally cabbage dishes sound uninteresting,but you have written the post beautifully.Even those who do not like cabbage will be interested.The trivia about pharaohs is very interesting the combo is not that appetising. We do not cook cabbage as much as we like it! But a few weeks back, I did make a lovely cabbage veg dish! This is great and I will have to try this one! Thank you once again for a wonderful post. Bechara bandhaakopi ki kakhono bhebechhilo je or uddeshye o ekta post dedicated habe? Ha ha ha... jokes apart, in winters (ekhon bodh hoy through the year) cabbage becomes a staple. In my house others are not too kicked about cabbage, hence frequency is restricted to once in 2-3 weeks. Niramish bhalo baashi kochi bandhakopi holey,with peas and badi, but it is yummy with fried fish head. I do not like it crunchy. But once cooked, it is dried and dried(fried) to give a 'jhurjhurey' feel. How did little S enjoy cabbage? Thali dekhke to muh mein paani aa gayaa! Such a beautiful picture, Sandeepa! Raw cabbage before drinks? Gassy gassy!! my cousin's wife makes a cabbage dish with panch phoron and I have bought the spice mix to make it at home. This seems to be a dish that will pair very well with rotis... and I have everything on hand. We call it vepudu( Ghonto) for dry dish usually dish is cooked with onions and we don't use masala's we just finish it with red chilli powder or home made powder. Try add soy chunks to cabbage, it tastes really good. Ore Bash Re!! koto shunder lagche thala ta..ami khete aschi!! I get confused still about charchari,ghonto,labra,chenchra etc..
ki fark penda hai yaar ,sab to pet me jane wala hai ,Hehe..
and trust me ,your hubby has complimented you ,take it positively !! I just had cabbage curry, South Indian style :) Your post reminded me of my Bengali roomies from whom I learnt some Bengali words! Don't you make it this way ? Really you don't have one with cabbage ? Wow well said, rustic huh ? This would be in Tamil ? Funnily enough, bottlegourd never struck me as a veg that could hold its shape - unless we took care. I had lau ghonto when I visited Cal last year - we were told it was a speciality of that particular restaurant. We all liked it a lot though I didn't think it was exotic. Also, it was plain, no tomatoes in it. I loved the veg food and couldn't get enough of it. And the mustard fish too! wishing for the nth time you were my neighbour! Came here from Nags' blog. Totally new combo for cabbage. We used to make once in a blue moon that too will be a simple stir fry. When do you add macher matha if you are making the amish version? The recipe, for a start, makes me want to close my laptop and run to my kitchen. Old school, and hearty, with a perfect little backstory, make it great reading . a favorite of mine in the winters! u can add a little crushed cardamom, clove and cinnamom. this tastes better than the garam masala powder. Add it when u're putting in the potatoes.